As part of my tour of instrument makers’ workshops, I made a late winter stop at The Violin Making & Repair program at the North Bennett Street School in Boston’s North End neighborhood. The program accommodates ten students in the three year program who are passionate about working with their hands, using techniques traceable back to the great Antonio Stradaveri. Click here to see photographs taken at artisans’ studios making, guitars, brass, flutes, and pipe organs. I am actively searching for a magazine to run this story. Referrals appreciated! I recently visited the factory of C.B. Fisk, makers of pipe organs in Gloucester, MA. A team of about twenty seven highly skilled craftspeople build instruments that are close relatives of the organs used by Bach in the 1700’s. Superficially, the workspaces resemble common machine shops and woodworking facilities, but there is more than meets the eye. Built to very tight tolerances, a large organ for a church can take up to six months to complete — and that does not include shipping and assembly. A 1/16 scale model of each organ is built by the shop’s designated model-maker, and each organ is dry-fit in the plant before shipping. Visit my posts about Tippin Guitars, Haynes Flute. S.E. Shires, Co. (brass instruments), and Christoper White Violins. In late August I visited S.E. Shires, Co. to photograph the crafting of custom trumpets and trombones. As part of my new series celebrating musical instrument makers in New England, I visited Wm. S. Haynes, makers of flutes in Acton, MA. Founded in Boston in 1888, the company is the oldest flute-maker in America, producing fine custom-made silver, gold, and platinum instruments for discriminating musicians around the world. To learn more about Wm S. Haynes Flutes, click here. To see photographs of my visit to Tippin Guitars in Marblehead, MA, click here. 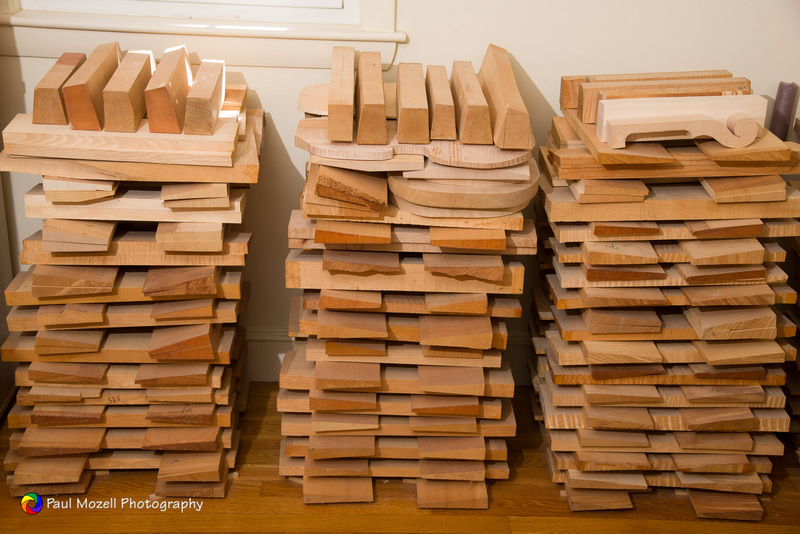 Today I began work on a new project to photograph makers of musical instruments in the Boston area. Bill Tippin of Tippin Guitars in Marblehead, MA welcomed me to his shop on the waterfront. A master luthier with over 30 years of experience making fine instruments, Bill specializes in crafting and repairing steel string guitars for finger-pickers and flat-pickers. Each instrument is custom built for the owner, considering the style of music, technique, and sound preferred by the musician. Recently he has parlayed his devotion to deep sea fishing into a sideline for his shop — custom made fishing rods. Please click the little arrows for full screen view.